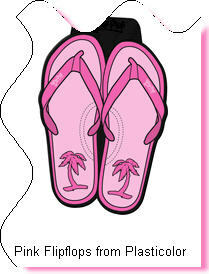 Pink Car Mats Embolden the Interior Look and Feel of Your Vehicle. While Pink Car Mats would certainly make a brave and bold statement about your personal taste in colors, not all of us are that adventurous. 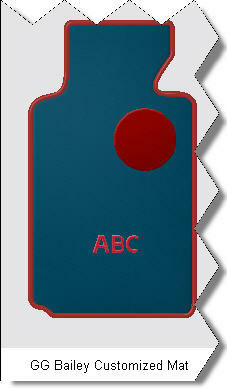 I personally like a purple or dark blue with a crimson red edge for my car mat. There are a lot of retailers who sell multicolored, universal rubber car floor mats, but very few custom car mat manufacturers have exceptional color scheme choices. So where do you go for car mats to make you a more colorful person and help your car have a more fulfilling existence? Your car would tell you to go buy pink car mats at GG Bailey where you can also find the biggest selection of thousands of combinations of garish, brilliant, flashy, gaudy and loud car mat color schemes in the world. OK, if you don’t want a garish, brilliant, flashy, gaudy or loud color scheme, GG Bailey has thousands and thousands of nice conservative, matching colors for your dull and boring vehicle. Of course you could go with custom fit mats from Averys (35+ colors), CoverKing (7+ colors), Premiere (18+ colors) or Intro-Tech (30+ colors) and get a beautiful set of auto mats that match the existing colors in your vehicle. It just depends on the statement you want to make and how emotionally secure you really are. The greatest variety of car floor mat colors and designs is found in the universal car mats manufactured by such companies as Kraco, Auto Expressions and Plasticolor. These are one size fits all mats that you might have to trim to fit in your car, but hey, if you really need the lift you get from being different, these kinda mats are for you. Tip: Pink gets Dirty !!! Your Pink Mats should always be free of soda pop spills, gas, oil, gum, dirt and other gunk. Otherwise, why do you even have pink mats? They need to be clean and fresh, just like you, your vehicle and your image. So help keep them clean and dry with universal absorbent car mats that reduce moisture, damage from spills and mold/mildew smells. Plus these absorbent mats are a lot easier to clean than your pink mats! Remember, Pink is a very popular color nowadays. Many of the vendors in the Logo Floor Mat Buyers Guide have pink or pink themed car and truck mats. If you don't see what you want call the vendor directly and ask.